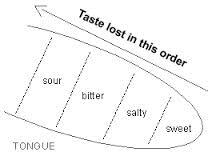 Taste disorders is not all that common however I did see someone recently who came to our clinic complaining of altered taste perception. After some research this is what I found. One of the most common taste disorders is phantom taste perception, which involves experiencing a lingering taste even when there is nothing in the mouth. Some people also experience a diminished ability to taste sour, bitter, sweet or salty. On the other hand, some people fail to detect tastes at all, a condition known as ageusia. It is important to note that complete taste loss is a rare condition, and in most cases, what people actually experience is a loss of smell. Should People Worry About Taste Disorders? 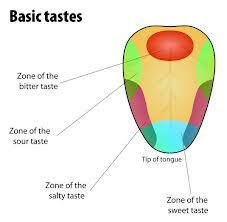 A taste disorder can significantly weaken or eliminate an early warning system that the human body takes for granted. Taste plays an important role in helping people detect spoiled, allergic or poisonous foods. Taste disorder can indicate the presence of serious health problems such as heart disease, stroke, diabetes as well as other illnesses that depend on sticking to a particular diet. The disorder may also cause a person to eat too much or too little, thereby affecting the overall health. Taste loss can even cause a person to eat extremely salty or sugary food, which can be a serious problem when people already have conditions like diabetes or high blood pressure. In fact, research has shown that loss of smell and taste is associated with conditions like the Parkinson’s or Alzheimer’s disease. Therefore, it is important to worry about the problem instead of ignoring it. Consulting the physician is the best option as soon as the sings start appearing. A majority of taste disorders are treatable. When a disorder is not curable, counseling is provided to help the sufferer cope with the problem. The condition should be diagnosed by an Ear Nose and Throat specialist who is capable of identifying and treating the underlying cause of the disorder. If some kind of medication is the cause, stopping its use can solve the issue. Some people, particularly people experiencing allergies or respiratory infections achieve their sense of taste when the underlying problems are resolved. In many cases, treatment of a general medical problem can solve the taste problem. Experts suggest that proper oral hygiene can play an important role in regaining as well as maintaining a well-functioning sense of taste. For more information about Taste Disorders please feel free to Contact Brighton Implant Clinic or Call us on 0800 111 6623.